No one need be alone on this day. For those who gather, it will be an intimate setting. 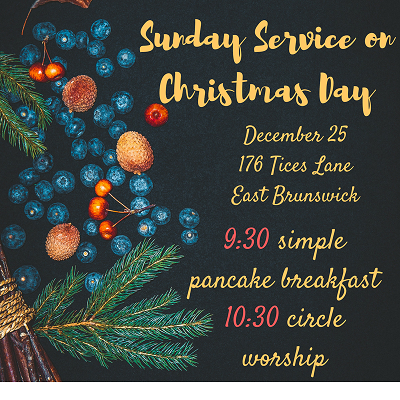 This Sunday service will be shorter than usual, more informal than typical, with more chance for stillness together. Rev. Karen will lead the service.